Richard Wootten was born in Oxford in 1765. He was the son and grandson of two other Richard Woottens who served on Oxford city council in the eighteenth century. His grandfather, Richard Wootten senior (c.1709–1783), was a tailor and son of William Wootten, an Oxford hempdresser. He came on to the council in 1763 and rose to Senior Bailiff; remaining on the council in 1782. He lived in Cornmarket. Wootten’s father, Richard Wootten junior (1734–1770), the son of Richard Wootten senior, was also a tailor and had a shop opposite Balliol. He married Elizabeth West of St Mary Magdalen parish at St Michael-at-the-Northgate Church in 1763 and came on to the council in 1765. The couple had three sons, all baptised at St Michael's Church: Thomas West Wootten (born 28 December 1763 and baptised on 24 January 1764); Richard Wootten himself (born on 30 August and baptised on 13 September 1765) and John Clarke Wootten (born in January and baptised on 25 February 1768). Young Richard’s father died at the age of 36 and was buried in the chancel of St Michael-at-the-Northgate Church on 10 March 1770; and his mother died at the age of 31, and was buried with her husband on 12 November 1773. Richard was thus left an orphan at the age of eight, and may have been looked after by his Wootten grandparents. In May 1780 Richard (14) was apprenticed to Thomas Castle, a mercer, in May 1780, with his grandfather Richard Wootten paying £105. Three years later his grandfather died at the age of 75 and was buried in St Michael-at-the-Northgate Churchyard on 12 December 1783. Soon after he had reached the end of his apprenticeship, young Richard put an advertisement in Jackson’s Oxford Journal (22 March 1788) to say he was “fitting up a commodious shop near Carfax”, and the next month put in a notice to say that he had opened there as a linen draper. In May 1788 he took on his first apprentice, John Smith. Elizabeth Wootten (baptised on 7 August 1811 at St Martin’s Church). Richard Wootten was appointed cloth searcher in September 1792 and came on to the common council in 1794, paying £3 10s and 3s 4d to avoid serving as Constable. In February 1793 Wootten took on William Steel as his apprentice, in December 1795 Charles Moore, and November 1798 John Newell. Richard Wootten was elected Senior Bailiff in 1811. In March 1816 his second surviving son John Wootten (16) was matriculated at the University of Oxford from Lincoln College. He migrated to Balliol College, obtaining a First in Mathematics and Physics. He was elected Physician to the Radcliffe Infirmary in 1830. On 19 April 1820 his fourth surviving son Charles Wootten (17) was matriculated at the University of Oxford from Lincoln College. In 1815 Richard Wootten was elected Mayor of Oxford for the first time (for 1815/16). On 31 October 1818 at Iffley Church, his daughter Mary Spicer Wootten of Iffley (who who was not yet 21) married William Undershell, a tanner of Bermondsey, and their marriage was announced in Jackson’s Oxford Journal on 7 November 1818. They had three children: William Undershell junior, born in 1820 in London and baptised at St Martin’s Church in Oxford on 25 April 1820, and two daughters (Georgiana and Mary). Charles Wootten (25) was described as being of St Ebbe's when he was buried at Iffley Church on 30 April 1828. On 24 September 1827 at St Peter-in-the-East Church, Richard Wootten, described as a widower of Iffley, married his second wife, Miss Elizabeth Smith of that parish. His son Thomas Wootten died aged 25 in 1832. Wootten retired from the council on 1 January 1836. The 1841 census shows Wootten in his 70s, still living at his house in Iffley, with his wife Elizabeth and daughter Elizabeth (in her late 20s). Also living with them are his grandson William Undershell junior, a banker’s clerk of 21, and his two granddaughters Georgiana and Mary Undershell: they were born in London, and may have moved in with the Woottens after the death of their mother. Wootten was soon to go into partnership with his young grandson William Undershell (1819–1887), who first adopted the name Wootten-Undershell and then Wootten-Wootten. His second wife Elizabeth Wootten died at Iffley at the age of 68 and was buried in her family’s church at St Peter-in-the-East on 19 September 1843. His son John Wootten, a doctor at 40/41 Broad Street, died a bachelor at the age of 47 on 26 August 1847 and was buried at Iffley Church. On 1 July 1847 the London Gazette announced that the banking business under the name of the Bicester & Oxfordshire Bank (established in 1793), which until then was carried on at Bicester by Richard Wootten the elder, Henry Michael Tubb, and Richard Wootten the younger, in partnership with Thomas Tubb (deceased), would henceforth be carried on at Oxford by Richard Wootten the elder and Richard Wootten the younger. Richard Wootten died in September 1848, and there was a brief announcement in Jackson’s Oxford Journal: “On Saturday the 9th inst. at Rose Hill, Iffley, aged 83, Richard Wootten, Esq. banker of this city.” He was buried at Iffley Church on 19 September 1848. Wootten was survived by only three of his twelve children. In his will he left his property in the parish of Launton and his house in Oxford’s High Street to his only surviving son Richard Wootten, and his property at Iffley to his unmarried daughter Elizabeth Wootten. Richard Wootten (born 1791) lived at Headington Hill (probably at the house now called Pullen’s Gate). In 1861 he was living alone with one servant at “Headington Gate”, and was described as a banker. He died a bachelor at the age of 77 and was buried at Iffley Church on 22 March 1867. 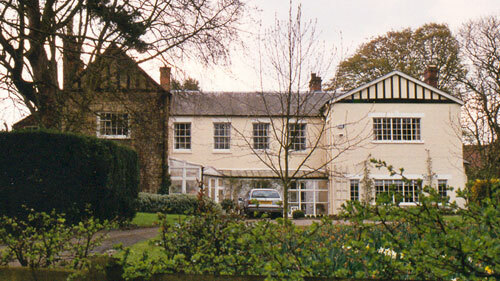 William Undershell (1819–1887) became a prosperous banker, and bought Headington House. He had nine children there between 1851 and 1866, all registered with the name Undershell; but at some point between 1867 and 1871 he changed his name to William Wootten-Wootten.